Having worked for over 2 decades with our beadmakers and glass blowers in Venice and Murano and having invested millions in the development of our bead store, our designs and our wonderful bead makers, I am a bit offended by the comments. I do, however, agree with our French friend. When you see our beads, alongside the Chinese or Indian you will see the brilliance of the Murano Glass immediately distinguishes it. 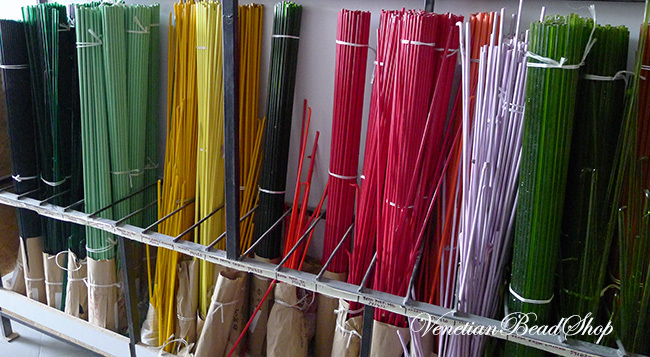 It all starts with the canes, produced in Murano by hand in the traditions of hundreds of years. Often imitated, but never quite the same. So once again – Why Buy Venetian? New designers are searching for their niche. Sometimes they fall in love with Swarovski, but it is everywhere and hard to make a name for yourself with such a ubiquitous commodity; and in the words of Brenda “an accent” bead! Though we do admit they compliment our Murano Glass. They are made by machine, cut by machine and their very sameness is their appeal. Our beads however are NEVER the same! So much depends on the canes, the fire, the humidity, indeed the mental attitude of our bead makers. And when you order 2 beads, we handpick to match those two beads for you! And let’s face it no one ever advertised that they have “Chinese Beads” and even Czech while again available everywhere, simply doesn’t carry the allure or romance of Venetian Beads. Tthough they were not the first in the world to make beads, the Venetians have certainly influenced the design and production of beads since about the 10th Century. It is also fascinating that women have always been a dominate force in Venetian Beads. While they were not welcomed into the furnaces the lamp workers have always included talented and very business savy women of both Venice and Murano. Let’s remember that Marco Polo traveled to China taking beads! Remember that Manhattan was purchased with beads! Venetian Beads were the currency in Africa, known as Trade Beads. And we still make them pretty much the same way as then. Now that’s something to talk about with your customers or to tell your friends when you they ask you about the jewelry you are wearing. Having Venetian Beads in your design gives you a story to tell. 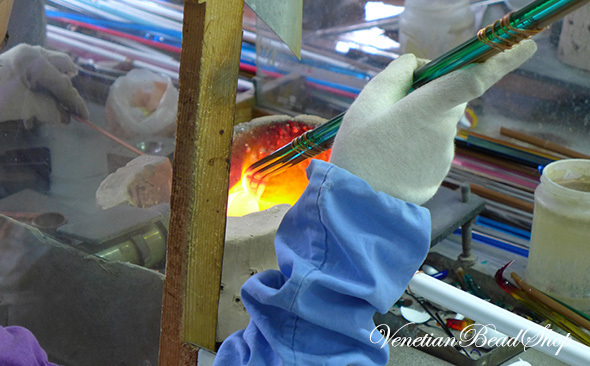 When you are at that hot and dusty Craft Fair, the sparkle under the sunlight will bring your customers in and your ability to weave the history of Venice will help you sell your jewelry. It sets you apart as a jewelry maker who appreciates the quality and the history. Wear it to the country club or your daughter’s softball game. It’s a fit everywhere. We try to give you a little of the story behind the beads, behind our sterling silver and the trials and tribulations of daily life in Venice. 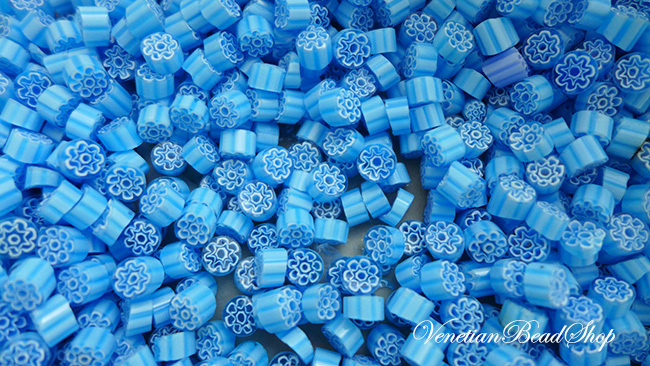 Use the resources on our website to learn more about Venice and you’ll be able to talk to your customers, or just tell your friends why you chose Venetian Beads. No two beads are ever exactly alike, each is a small work of art born in the flames. And if you ask me, I will just say I never was interested in any beads other than Venetian. 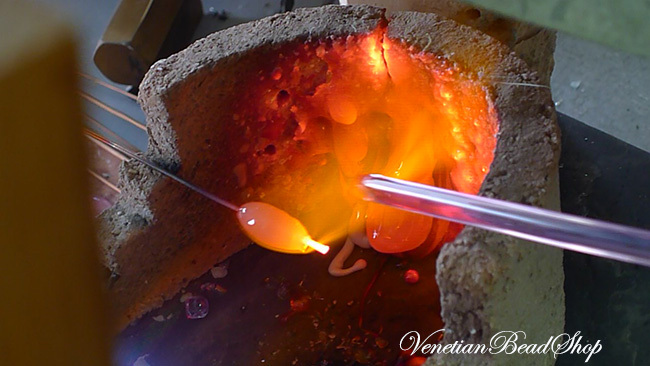 I fell in love with the glass and working with the bead makers is a way for me to be a small part of the story of Murano Glass. ← UPC, EAN, GTIN, ISBN – What does it Mean?